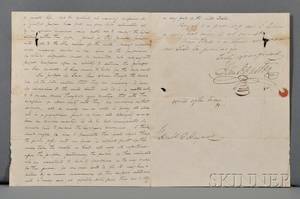 Houston Samuel (1793-1863) Autograph and Secretarial Letter Signed 1 November 1836. 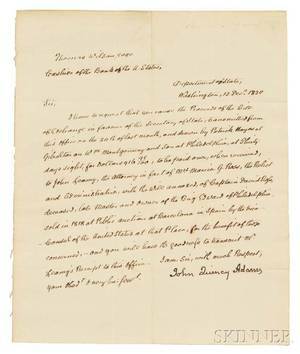 Archived auctions similar to Houston Samuel (1793-1863) Autograph and Secretarial Letter Signed 1 November 1836. 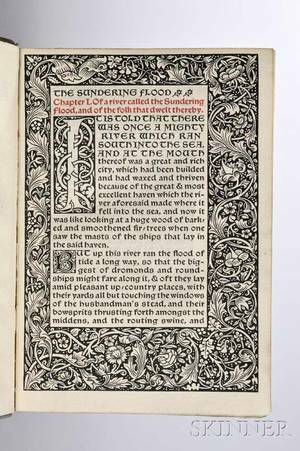 Morris William (1834-1896)The Sundering Flood with Autograph Letter Signed 4 November 1891 inserted. 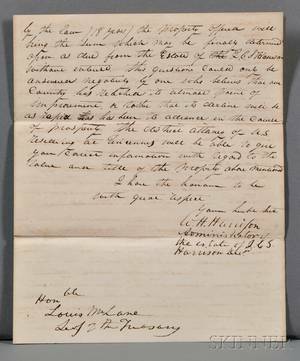 Constable John (1776-1837) Autograph Letter Signed 16 June 1836. 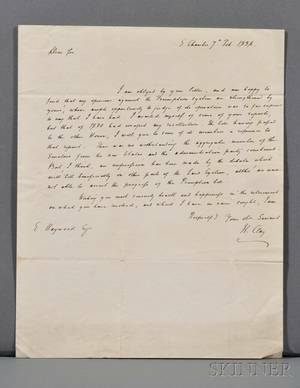 Clay Henry (1777-1852) Autograph Letter Signed 7 February 1836. Madison James (1751-1863) Autograph Letter Signed 22 November 1810. 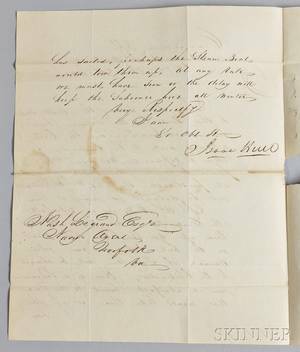 Hull Isaac (1773-1843) Autograph Letter Signed 16 November 1831. 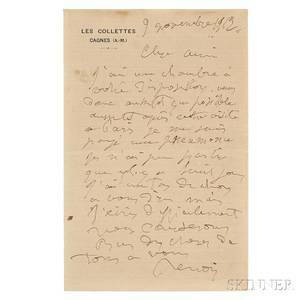 Renoir Pierre-Auguste (1841-1919) Autograph Letter Signed 9 November 1912. 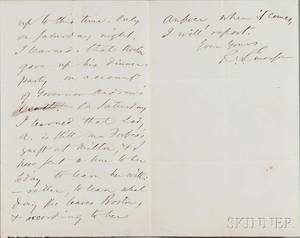 Emerson Ralph Waldo (1803-1882) Autograph Letter Signed 4 November [n.d. 1867?]. 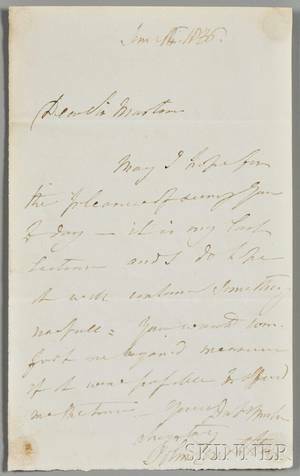 Harrison William Henry (1773-1841) Autograph Letter Signed 19 November 1832. 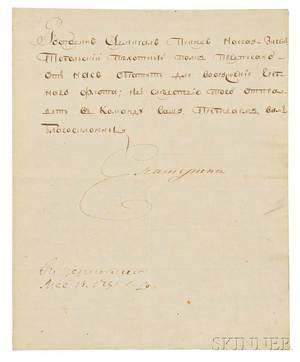 Catherine the Great of Russia (1729-1796) Secretarial Letter Signed 13 May 1791. 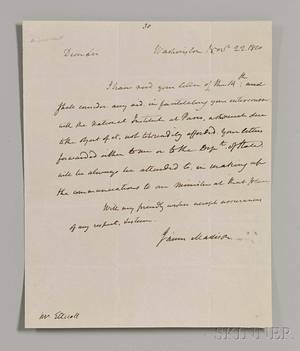 Adams John Quincy (1767-1848) Secretarial Letter Signed 12 December 1820.